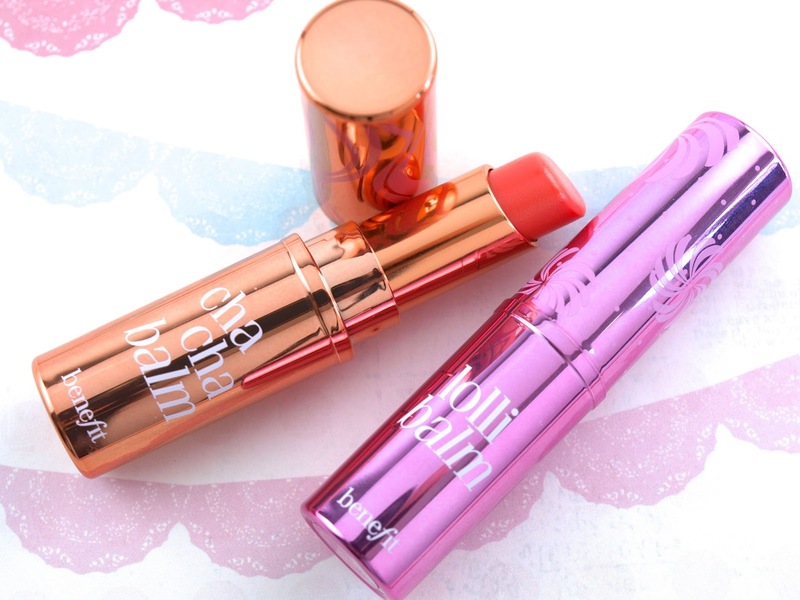 The balms come in plastic bullets coated with a layer of shiny, metallic paint, much like their lip/cheek stain counterparts. The design is nothing short of adorable because Benefit always knows how to win a girl's heart. 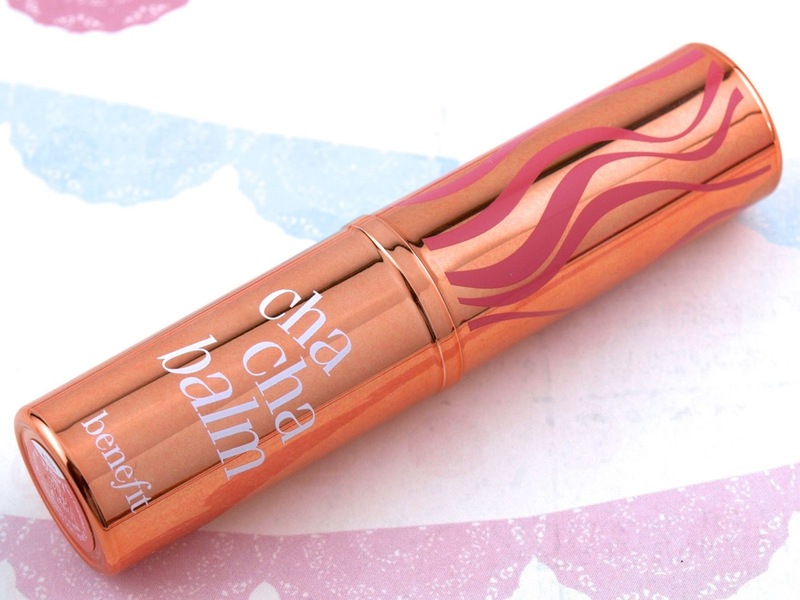 This is a tinted lip balm with just a hint of creamy, pastel orange color. The product has a subtle rose scent and feels very nice and moisturizing on the lips. The pigmentation is very sheer so this really is just a normal lip balm that gives the lips a natural shine. 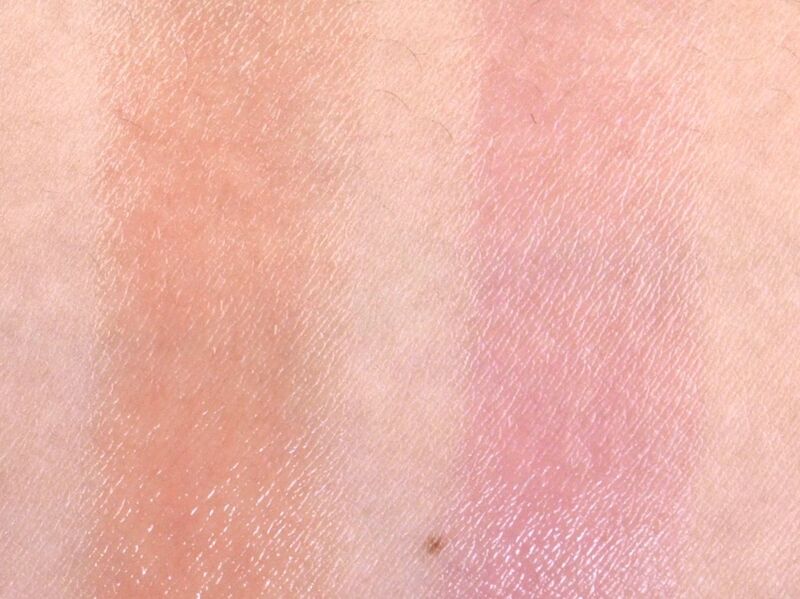 This one is a pale orchid-tinted balm. 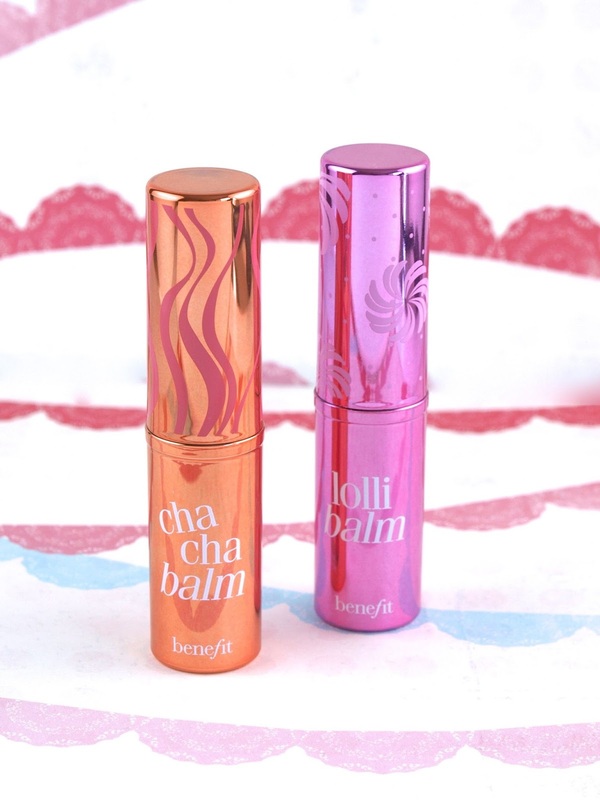 Just like Cha Cha Balm, it has a subtle rose scent and a very sheer pigmentation. These balms last on the lips for about two hours before wearing off. Both heavily swiped many times. These are no doubt very good, high-quality lip balms with just a hint of color. However, because the price point is so high, I don't think the value is that great but with such an adorable packaging, Benefit fans will still want all of them to match their favorite lip/cheek stains. Benefit is available in stores and online at Sephora and Benefit.com.